Today we are going to discuss about the simple RF (Radio Frequency) Transmitter and Receiver circuit. RF(Radio Frequency) is a High Frequency signal commonly used for communication applications, due to its high frequency we can transmit signal to a sufficient distance (about 300 Foots) without attenuation. Here, the simple RF switching circuit is used to turn ON and turn OFF an LED (For Demonstration) you can replace the LED with a switching RELAY and control any appliances. Let me introduce you the Main components used in this RF Transmitter Circuit. 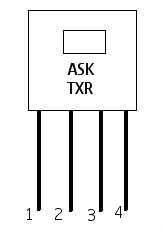 Ask Transmitter is used transmit the signal generated in the circuit via Radio frequency (433MHz). It is a 4 pin device, the pin configuration is shown in the figure. It is an Encoder, which is used to code the signal generated in circuit, signal means ON and OFF position of switch S2. The Transmitter section includes 2 SWITCHES, S1 and S2. Switch S1, is configured as Transmitter enable, this determines the condition of Transmitter. This should be always closed to transmit the signals. Switch S2, it is used as the control Switch to turn ON and turn OFF the LED. It helps to collect the transmitted signals from RF TRANSMITTER through the antenna and give it to decoder input. It is the Decoder IC in the RECEIVER circuit, which will decode the information transmitted from RF transmitter. It is just reverse operation of the Encoder. It is a Flip Flop Ic, which will turn on for the first signal and turn off for the second. The working is same as that of a BI-Stable Multivibrator. This circuit covers a distance of about 300 foots. thank you! also for the capacitor is that mili farads or micro? You are most welcome...... The capacitor is in microFarad Range. The Communication between these two sections (Transmitter and Reciever) is made possible by transmission of a Binary data (For eg:- 0100) via RF. Sir may I ask how can I connect a relay to the receiver circuit? I am planning to control a vibrating motor. thanks for the help. Take the output from positive terminal of LED (Receiver) and give it to the base of an NPN transistor (BC547) with emitter grounded and the relay should be connected to collector. When the output triggers, the transistor turn on and enables the relay. Thanks for your reply.I have one slight problem. When i create two unique remote control..having different binary data..the problem now is, the other wont work if the other remote tranceiver is turned on even when they have different binary data..possibly an interference?how do I solve this? You can simply solve the problem by coding the Encoder and Decoder of Transmitter and receiver. The address lines for both encoder and decoder should be equally connected. That is, if you connect the address line 2 of encoder to ground, that same line (pin) should be grounded at decoder. This makes the transmitter and reciever unique. 1-8 pins are address lines for both encoder and decoder, you can use any of these pins for grounding but do remind, both of them should be same. I have two remote transmitters and one receiver. the other remote has different address data as for security purposes. But when 2 remote transmitters are enabled, the couple transmitter with the receiver wont work unless the other transmitter is turned off..how to fix this? 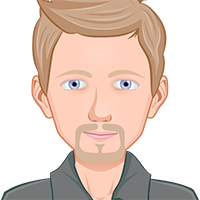 Please read my reply to Roger... It may helps you too. Yes, I have done that..One transmitter with address hung up. and another transmitter with address0 grounded, and all other addresses are hung up.. My receiver's addresses are all hung up to..No address thats ground, which means that my transmitter 1 and receiver should communicate.I do not have any problem communicating the two..and the other transmitter doesnt communicate with the receiver since it its addresses do not match..My problem is that when both transmitters are set to ON(transmission ENABLED), the transmitter 1 could not communicate with my receiver. I should first turn off the transmission enable of transmitter 2 bfore the transmitter 1 and receiver could communicate.Why is that so? I think, that's because, you are using same RF Module (ASK of 433MHz) on both the Transmitters. I see..so no other way but to turn off the other transmitter or, to change its frequency right? sir, please help me. i'm on a project that goes like this. there are three transmitters scattered on a house and a receiver. when one transmitter is switched, the receiver will vibrate and the LED will indicate where the signal came from. the same goes for other transmitters. each transmitter has a corresponding LED color but they all trigger a single vibrating device. how can i work on this project? thanks sir. You can use 3 transmitters like the circuit shown above. For the three transmitters T1, T2, and T3. The control switch S1 of first transmitter T1, should be connected to the 10th pin of Encoder IC (HT12E). Like wise you can use upto 13th pin. In the same manner, you can get the output from Reciever, HT12D of pins 10,11,12,13 for the corresponding transmitters. 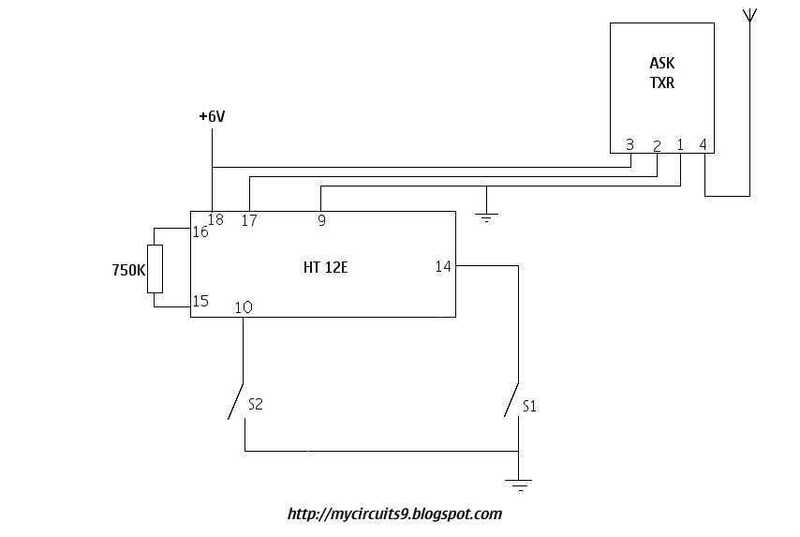 sir, how can i connect the three corresponding LED for each transmitter and the vibrating device in the receiver circuit? connect the 11th pin to base of transistor and do the rest as same for first transmitter. sir is it possible to add a voice/speech/noise sensor to the transmitter circuit. when the transmitter senses a voice or noise, the receiver is triggered. but the switch is also present. The receiver can be triggered either by noise or switch. I'm thinking of putting the receiver near a telephone, once the telephone rings it alerts the receiver. Thank you sir. Yes its possible, you can combine a sound sensing circuit (may be Clap switch circuit works better) at the switching side of reciever section. caN i replave the 6v batteries with other value of supply voltages like !2 volts or higher? Yes you can use a 12V supply together with LM7805 Regulator. Is 2.4Ghz Your Transmission frequency.......??? Yes Sir...both transmission and reception...kindly help us!!! Then, Use a suitable modulator and demodulator for transmission and reception of 2.4Ghz signal. Here i am using 433Mhz ASK modulator and Demodulator. I am using Xbee rf module for this purpose bt now m facing the problem of how to disconnect the load ckt from power supply(mains)..and here m using motor as a load...so what should i do? Hey what's the battery life like if not using the switches often? Same as most automotive key fobs? The total cost will be within Rs700. Sir,i got an equivalent board (RoHS). That is too small. Have any problem to giving 6v as its vcc? Pls help me. sir,can i know the specifications of antenna? Here In this Circuit, The Antenna is an optional one. You can simply ignore it if you don't have. Can You be more explicit....? 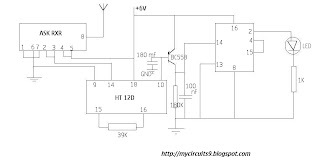 hello sir please help me, i want to control multiple relay can i do with this circuit or please guide me to make rf based multiple relay board. At the reciever section, HT 12D pin 10 is connected to the base of transistor, you can change it to pin11, pin12 or pin13 also change the switch in HT 12E in transmitter. In the same way you can connect multiple relays. Thankyou sir for the guidance but sir i have a doubt that would i need multiple flipflop IC for multiple relays? And what other components would i need? Pls guide me with a figure if possible. Thanks. Yes You are right. You should have multiple flipflop ics. Wire the circuit same as flipflop1. Sir, which type of relay i can use here, any specification? Pls guide me. Thank you for the information. 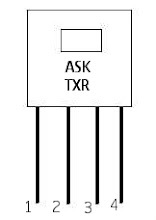 I need a receiver of minimum size with a relay output (contacts rated at 20ma at 6 - 12 vdc). What would be your estimate of the minimum receiver dimensions (L, W, H) with a 30 foot range?